Stressed out after a long tiring day at the office? If you’re not keen to fork out money for a massage session each time you need it, why not go the whole hog and purchase a massage chair for your home. 1. 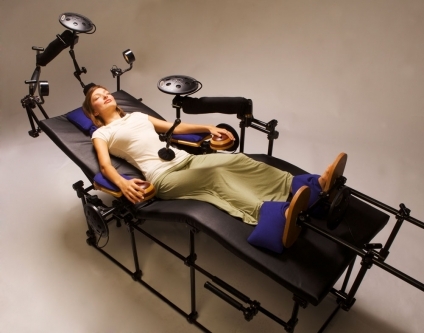 Sonic Lounger: Though it does look like a dentist chair or similar torture apparatus, this sonic lounger actually helps you to relax and ease tension. Featuring a tactile sound system which transfers high fidelity music into your body and skin, the chair offers a comfortable ergonomic space to enjoy music and vibro-acoustic massage therapies simultaneously. 2. 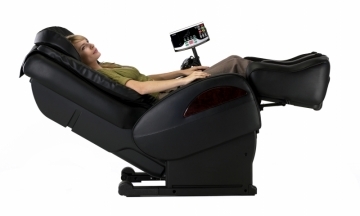 DVD Massage chair: Equipped with a multi-media DVD player and hi-fi ear phones, the DVD chair is the ultimate in luxurious relaxation and offers a range of massage techniques with different music styles. 3. 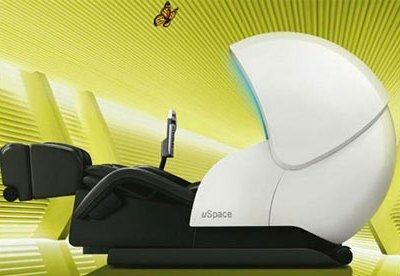 OSIM uspace Massage chair: This traditional full-body massage therapy chair is fitted with sensors that guide airbag-style massage cushions and a warmed seat. Equipped with three different modes (revitalize, relax and balance), the airbags apply an enveloping sense of pressure to whatever is being rubbed. Specially selected lighting colors with synchronized music will activate certain areas of your brain and provide the ultimate in relaxation. 4. 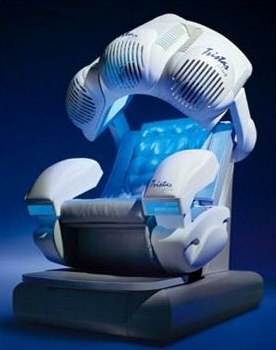 Sanyo Zero Gravity Massage Chair: Equipped with detection sensor technology, this chair diagnoses stress areas by measuring changes in pulse rate. By moving your body into an almost neutral position, the chair diminishes stress on your back and provides better blood circulation. 5. Relaxone Massage Chair: Loaded with expensive electronics, this globular innovation does its work by enclosing you in a bubble; not for the claustrophobic. There’s plenty of room to breathe though and the enclosed atmosphere makes for an extra-intimate massage. 6. Tristar Massage Chair: Transport yourself to outer space and completely unwind in this sophisticated chair, which comes with a foot massage system and an adjustable massage system with 12 settings. While the Kalfasun high-pressure lamp helps to relax the muscles of your face and hands, the built-in audio system ensures that you feel completely rejuvenated after each experience. 7. Moon Massage Chair: Equipped with high-technology features with infrared tactile sensors to help analyze your back muscles at more than 350 acu-points, this type of massage chairs are available in various colors and patterns. The multicervical positioning system focuses on the neck area and provides you with relief from severe neck pain. 8. 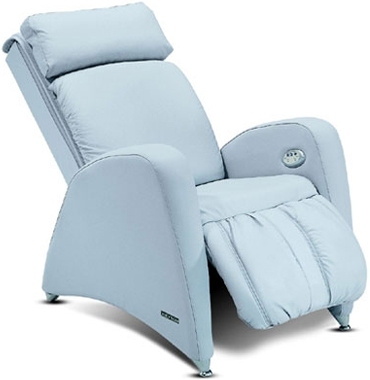 Sit N Joy Massage Chair: Ideal for aquatic environments like ponds, lakes or swimming pools, this unique chair has multi-functional massage pads and a built-in stereo system for iPods and MP3 players. 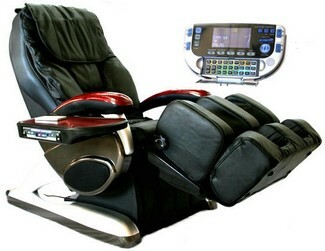 Or lug the massage chair along to a campground or garden to enjoy nature while you are having a complete body massage. 9. 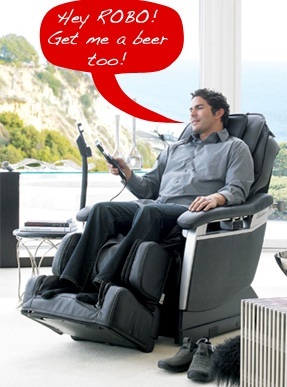 ROBO Chair: Besides offering a full range of massages and de-stressing every part of your body, the unique voice-activated ROBO chair enables you to adjust your recline angle with a word. If you are too lazy to reach your remote, all you need to do is simply yell at the chair to start massaging your body. 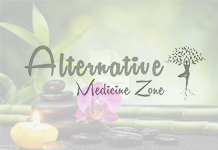 Next articleTry Alternative Treatments To Reduce Warts And Moles!